Apple likes to make plenty of noise about the quality of the cameras built into its smartphones. The company yesterday started sharing several of what it calls the best “Shot on iPhone” images, with Instagram and Twitter being used to highlight images taken by iPhone XS owners. 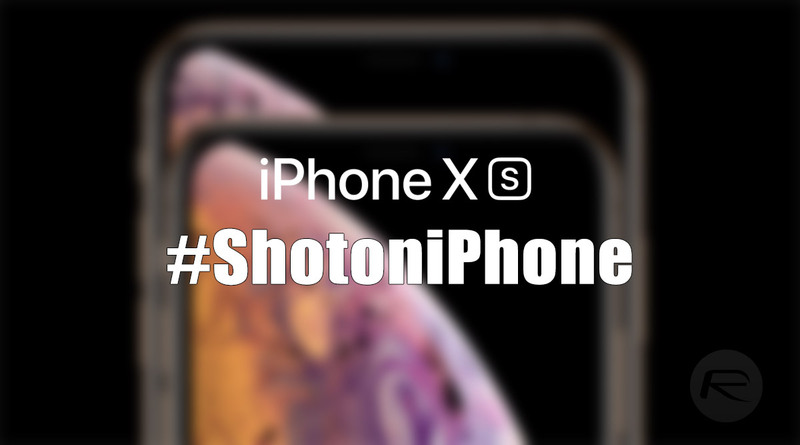 Apple appears to have collected images across both Twitter and Instagram that use the hashtag #ShotoniPhone and the images used show all manner of different techniques and features that the iPhone XS can deploy. Perhaps predictably there are plenty showing Smart HDR in all its glory, with Portrait Mode also well represented. In fact, advanced bokeh techniques are very much the order of the day across the whole collection. While the cameras in the new iPhone XS Max and iPhone XS are generally the same that are in the year-old iPhone X, Apple has added all kinds of software smarts with the new smartphones in order create some even more impressive photos. While Apple did not make much of a fuss about it during the iPhone XS announcement, the new iPhones have an improved wide-angle image sensor that is a considerable 32% larger than that used in the iPhone X. It’s also twice as fast, making for a better quality image and improved color reproduction as a whole. Some of the photos taken with the iPhone XS and iPhone XS Max, and then shared by Apple, do look absolutely stunning. However, the same can be said for the iPhone X and of course many other high-end smartphones on the market. The iPhone XS won’t make you a great photographer overnight, either, and is more than capable of taking average-looking shots. However, when given the right conditions there is no doubting its ability to kick out some amazing shots. Do check out all the picks by Apple here.